Were you injured in a slip and fall in Coral Way? Did you trip and fall? Did you suffer a personal injury in Coral Way due to the negligent or intentional act of another? Our Coral Way Slip and Fall Attorneys can help you get justice and the compensation you deserve. Our personal injury lawyers serving Coral Way are available to meet with you for a free consultation in our office at the Wolfson Law Firm. 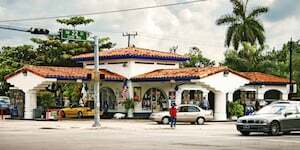 It is actually located one block from Coral Way at 3399 SW 3d Avenue in Miami. 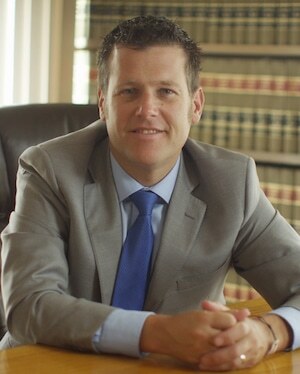 We are available 24/7 and our managing attorney Jonah Wolfson is a bilingual personal injury lawyer in Miami. See our qualifications and recent results. Then call us at (305) 285-1115 to find out more. In Miami, Coral Way is the name of a road and a neighborhood. The road named Coral Way extends from Coral Gables to Brickell and Downtown Miami. The neighborhood of Coral Way is generally the area surrounding Coral Way. Interesting thing about neighborhoods. Human nature is to belong to a group but yet be unique. If local residents travel outside of South Florida and they are asked where they come from the answer is most likely “Miami”. If they are asked where they live by someone in Florida but outside of Miami-Dade County, they would probably answer “Miami”. But if they are speaking to someone in Miami where they live or work, then they would likely say “Coral Way”. By identifying with a neighborhood within a major city it makes them unique and satisfies the human need to be a part of something yet remain different. On Coral Way and in the community of Coral Way there are many shops, stores, bars, gas stations, and restaurants. These commercial establishments include major retailers and individually owned locations. Many of those business owners rent from landlord property owners. If you are injured on someone else’s property, finding out who or what company is responsible could be tricky. That is where our Coral Way Personal Injury Lawyers at the Wolfson Law Firm can help. Why did this accident happen to me? Is the accident my fault? Is there a video of my accident? How do I find out who is responsible for this horrible accident? How can I hold the person, shop, store, company or corporation accountable? Exactly who is responsible for your injury will depend on the facts of your case. Our Miami slip and fall lawyers investigate every new case in office with our team to make sure we have the responsible party identified and placed on notice. Our investigation may include Public Records Requests under Chapter 119 of the Florida Statutes; on scene inspections; and experts in the fields of engineering, physics and human factors. Like every good investigator in history, we will go where the facts take us. We will keep you advised every step of the way. We will report our findings to you and present you with your options to go forward. With our Miami Slip and Fall Lawyers serving Coral Way, just like in all of the Wolfson Law Firm’s personal injury cases, you as the client are the ultimate boss. You decided to hire us and it is our job to represent your best interests. It is our duty to let you know our opinions and let you decide if you want to drop the case, settle the case, or go to a jury trial on your case. You the client are always in charge. The Coral Way Personal Injury Attorneys of the Wolfson Law Firm serve the communities of The Roads, Allapattah, Westchester, Coral Gables, Miami Gardens, Tamiami, Flagami, Fontainebleau, Miami Beach, Coconut Grove, Kendall, Little Havana and those unfortunate to be injured on Le Jeune Road, or the Palmetto Expressway or at Miami International Airport (MIA), Aventura Mall, Dadeland Mall, Merrick Park, Dolphin Mall or Walmart. Give us a call today and let us help you.